Women deal with a lot of medical conditions and have a higher risk for certain diseases, from heart disease to menopause. Another medical condition that women often have a higher risk of than men is an overactive bladder. This affects millions of people in the U.S. alone, and can be really frustrating to live with. The following information helps you understand overactive bladder and get a better handle on it. First of all, it helps to know a little more about what an overactive bladder is and how it might affect you. In the United States alone, about 33 million men and women suffer from an overactive bladder, even more when you are looking at the worldwide numbers. There are about 10% more women than men with this condition, looking at approximately 40 percent of adult women with the condition. Since this is often an embarrassing affliction, many people will not visit their doctor and instead look for natural and home treatments. It is essential that you understand what happens when you have overactive bladder so you know if a visit to your doctor is warranted. Having an overactive bladder means that you will get an urge to urinate immediately. There are often no warning signs, and if you can’t get to a bathroom fast enough, you may suffer an accident. This is also known as urine incontinence. This can create feelings of severe panic and anxiety any time you are not at home or not near a restroom. 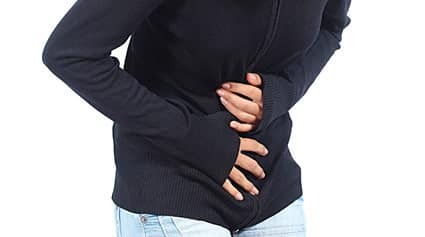 Aside from the sudden urge to urinate, you may find that with an overactive bladder you also urinate more frequently and that as soon as you feel the need to urinate, you have an accidental leak of urine involuntarily. If you wake up multiple times at night to urinate consistently, that can be another very common sign of this condition. If you are dealing with incontinence or an overactive bladder, you should talk to your doctor. There are a variety of medical treatments available. Aside from that, there are also some things you can do at home. This includes getting to a healthy weight, reducing alcohol and caffeine, and quitting smoking. Having a healthy, active life can also be good for you, so don’t shy away from it just because of your overactive bladder. Both urinary incontinence and overactive bladder syndrome affect the quality of life of many people and require medical advice. Many people have a misconception about urinary tract disorders such as urinary incontinence and overactive bladder, sometimes confusing in both terms. Although it is true that both pathologies are usually clear in people of old age and especially in women, they are not the same. We call urinary incontinence the involuntary loss of urine that occurs when the pressure in the bladder is higher than the pressure in the urethra, causing the person who inevitably suffers from the escape of urine. While overactive bladder syndrome is determined by the urgent and sudden urge to urinate, whether or not accompanied by loss of urine. The bladder is a bag-shaped organ that stores the urine produced in the kidneys and is surrounded by the detrusor muscle, the contraction of which causes urination. Under normal circumstances, it is necessary to urinate between five and six times a day, creating the sense of urination when half the bladder capacity is reached (approximately 200 milliliters). Increase in the frequency of daily urine (more than 8 times). Increase in the frequency of nocturnal urine. Urgent and sudden urge to urinate. It may or may not be associated with urine loss. If you suffer from urine loss or if you recognize the symptoms of the overactive bladder syndrome, consult your specialist. Strengthening the pelvic floor muscle system. Control of chronic diseases that can aggravate symptoms. Avoid the use of diuretics. Both urinary incontinence and overactive bladder syndrome affect the quality of life of many people. It is therefore important that the patient seeks medical advice to control the severity of the disease and to find the best alternative. adapt to the needs of each patient. Overactive bladder ICD 10 CM is a billable/specific code that can be used to indicate a diagnosis for reimbursement purposes. Symptom of overactive detrusor muscle of the urinary bladder that contracts with abnormally high frequency and urgency. Overactive bladder is characterized by the frequent feeling of needing to urinate during the day, during the night, or both. Urinary incontinence may or may not be present. Functional urinary incontinence ICD 10 CM code that can be used to indicate a diagnosis for reimbursement purposes. The investigation of these patients begins closing urinary tract infection with a simple urine test than a 24-hour diary, which records the urinating and urinating parts in one day, eventually sometimes required to perform urodynamics, which is an invasive test to evaluate the behavior of the bladder and its muscles during an emptying cycle. There are different treatment strategies that are implemented in escalated form in three process rules. In the first place, the intention is to prescribe drugs that are responsible for inhibiting the contraction of the bladder muscle. The result of this treatment is fast, in about 15 days the patients already know whether it worked or not. If drugs are not effective, the specialist recommends kinesiology therapy for the patient learning to regulate reflexes through a treatment called neuromodulation. At least 10 sessions are recommended before the effect is evaluated. Ultimately, if the above procedures do not provide the expected results, the person can be placed in the bladder botulinum toxin, which takes about six to nine months. Once this period has expired, reinjection is required. The expert explains that in some cases this pathology may be chronic ( no cure for overactive bladder ), while other patients may improve after treatment and no longer need it.